Wood screw #5 X 3/4 inch long phillips round head. Carriage bolt #8-32 X 1-1/8 inch black. Use 4308-01123-20 as a substitute. This bolt is zinc plated not black. 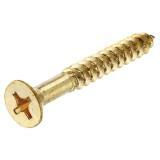 Bolt carriage #10-24 x 1-1/4"
Carriage bolt 10-24 x1-1/4 inch long zinc plated.